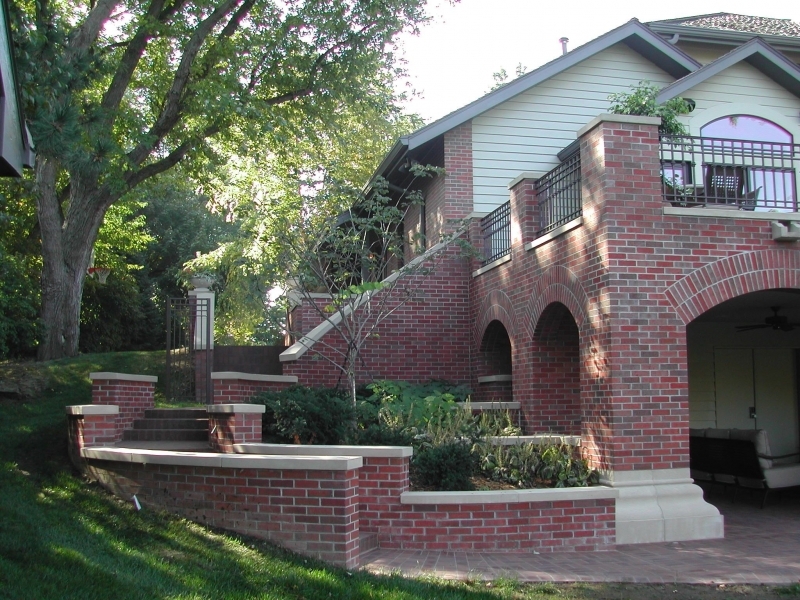 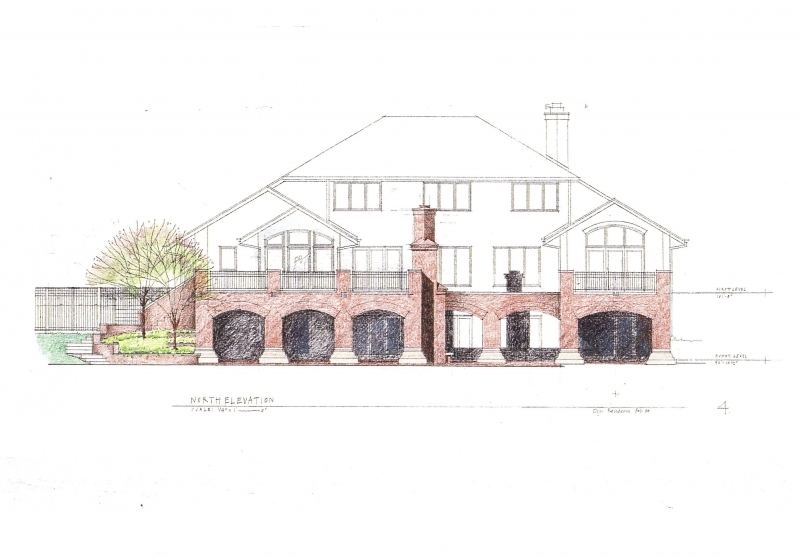 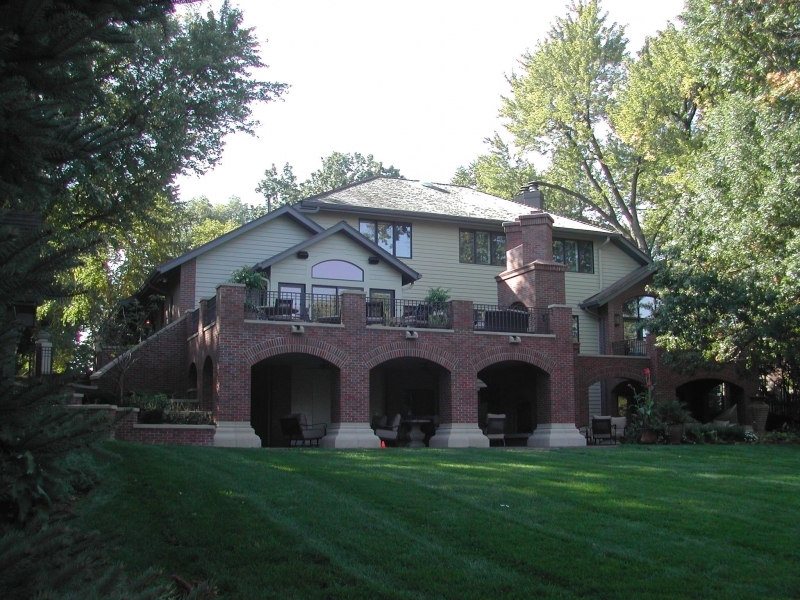 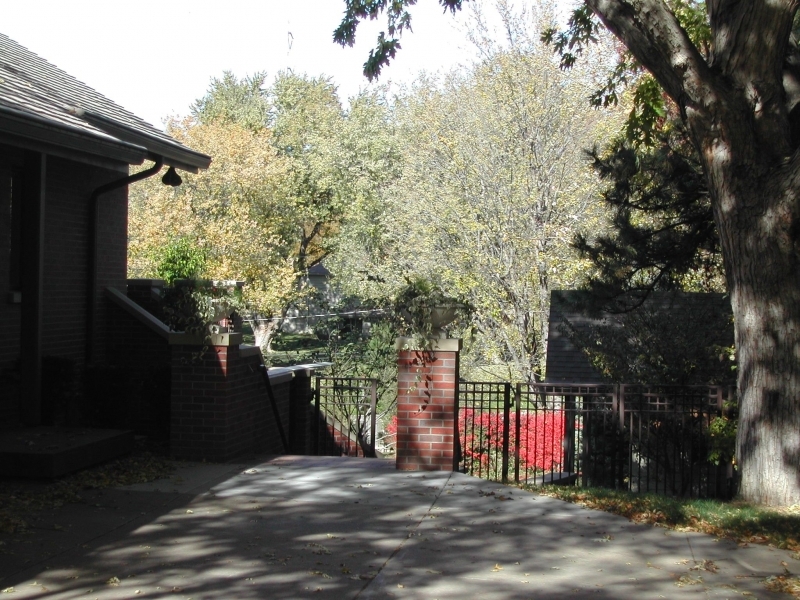 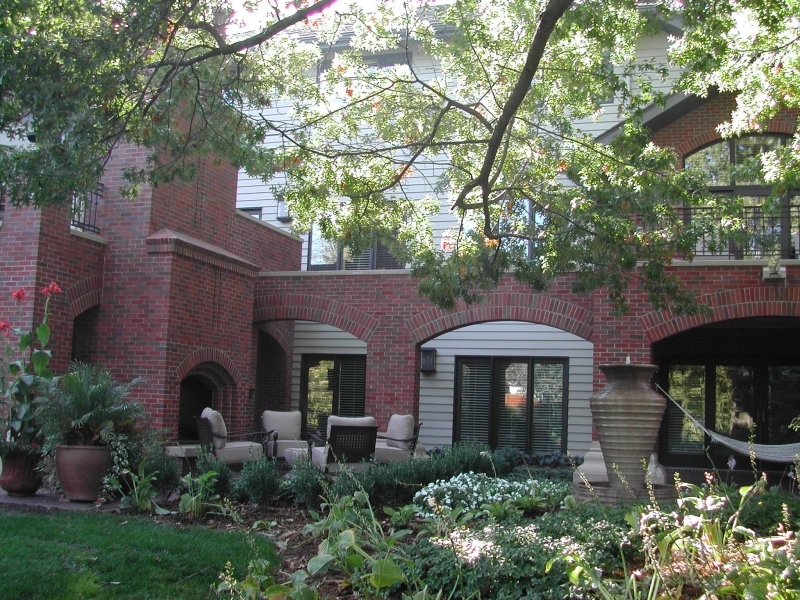 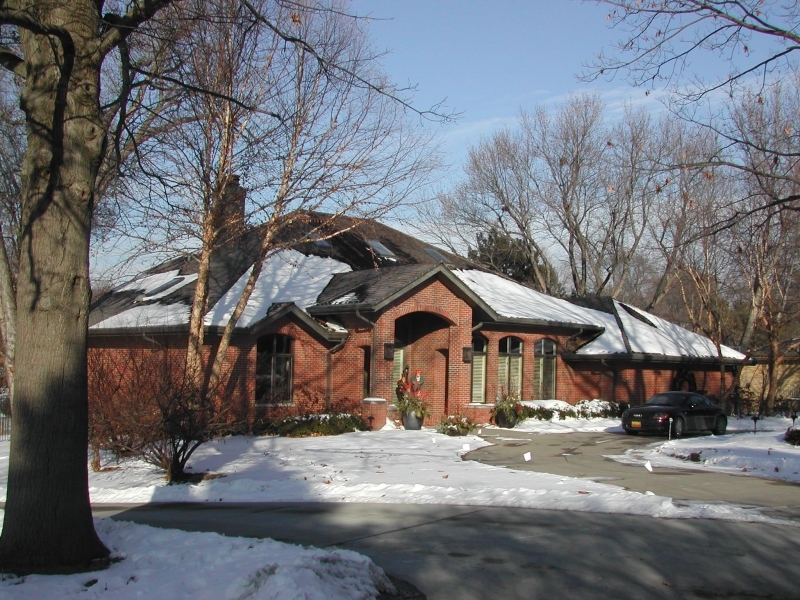 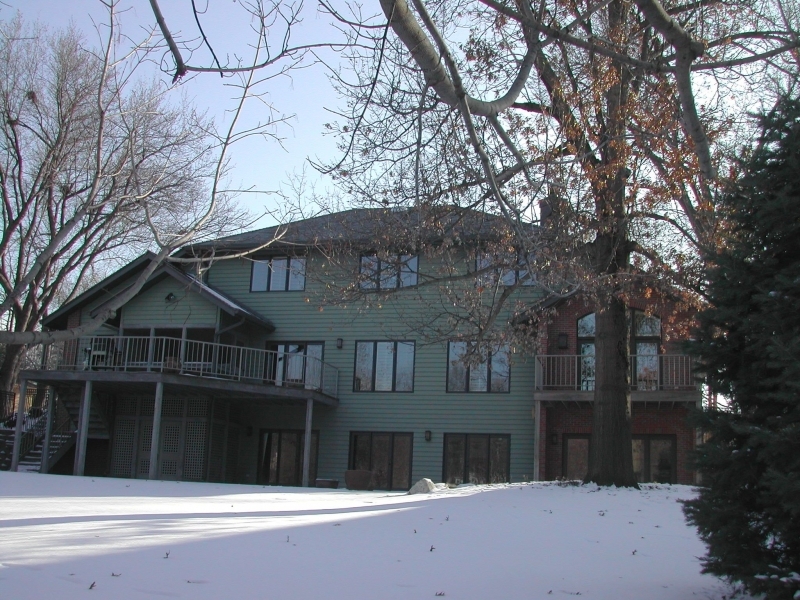 This project involved the extensive renovation and addition to the backside of a custom designed, 3-sided brick home. 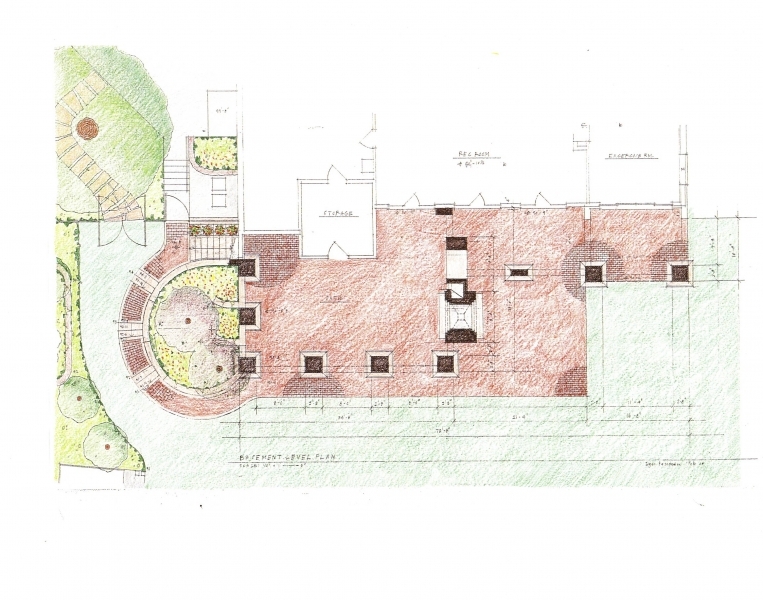 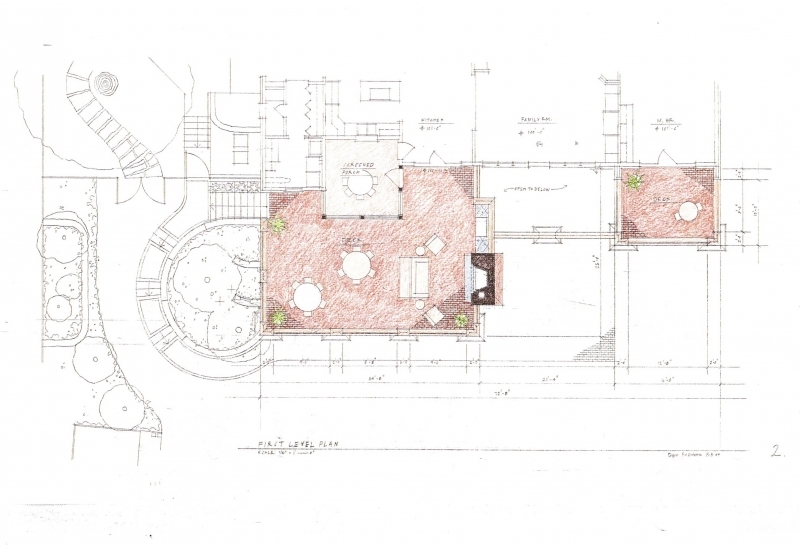 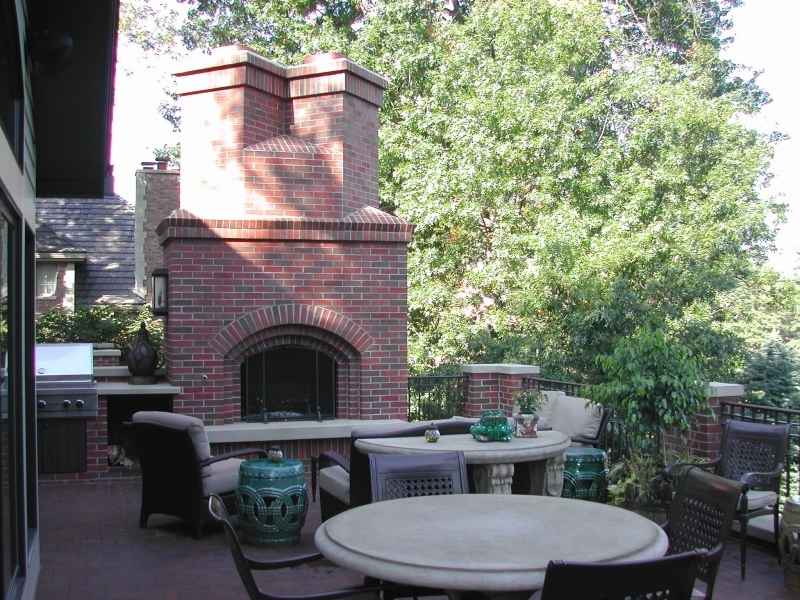 The owners desired to replace a worn outdoor rear deck with a new brick paved deck that would include outdoor amenities for grilling, dining, living, fireside relaxing and to complete the brick appearance on all four sides of the house. 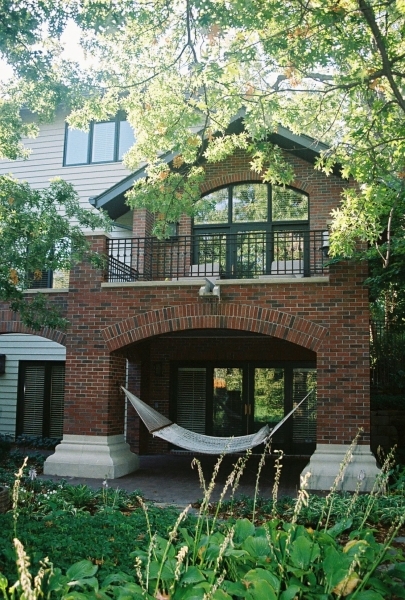 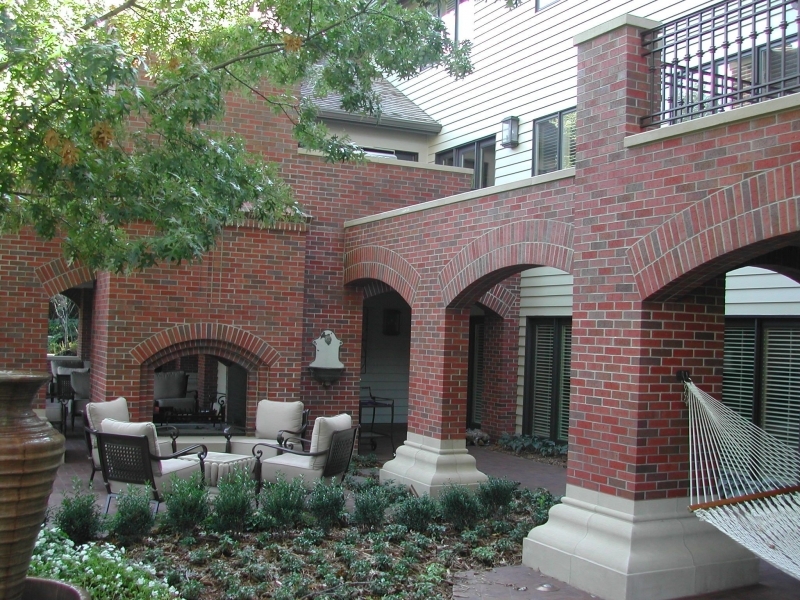 A multi-level, see-through brick fireplace with chimney caps that pay homage to the existing anchors a large, brick-paved upper level deck. 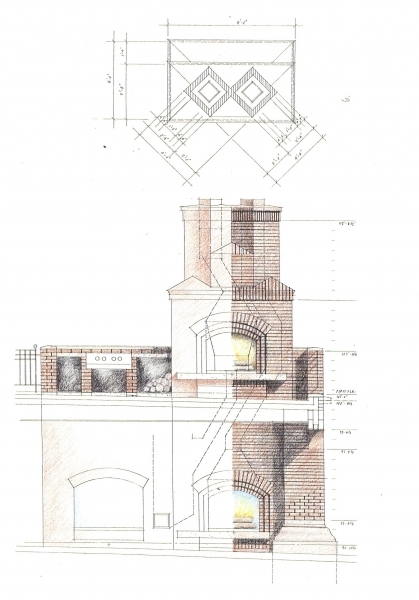 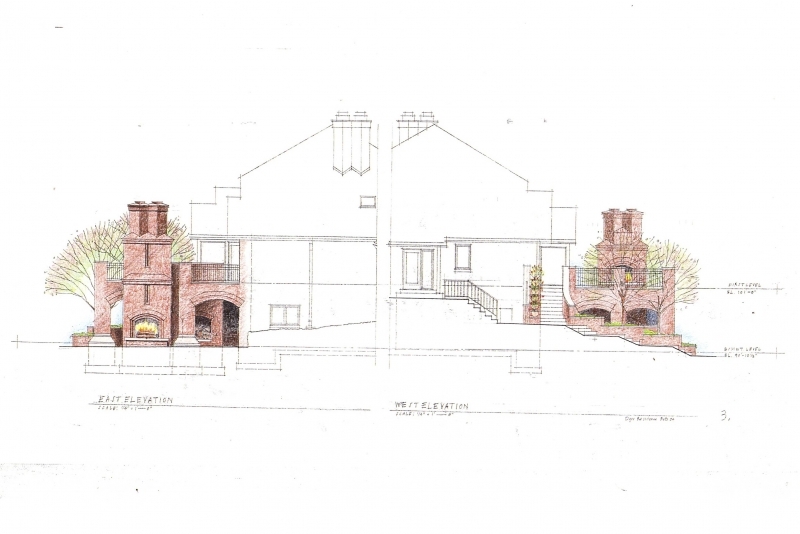 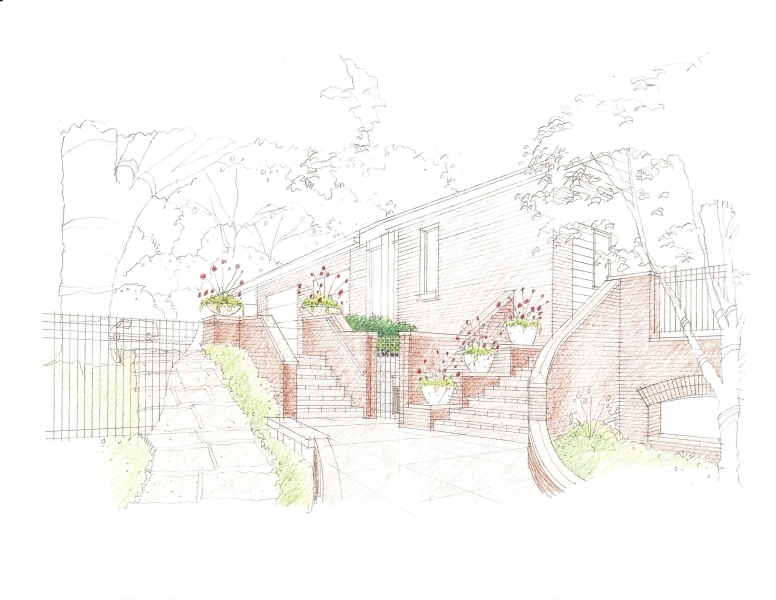 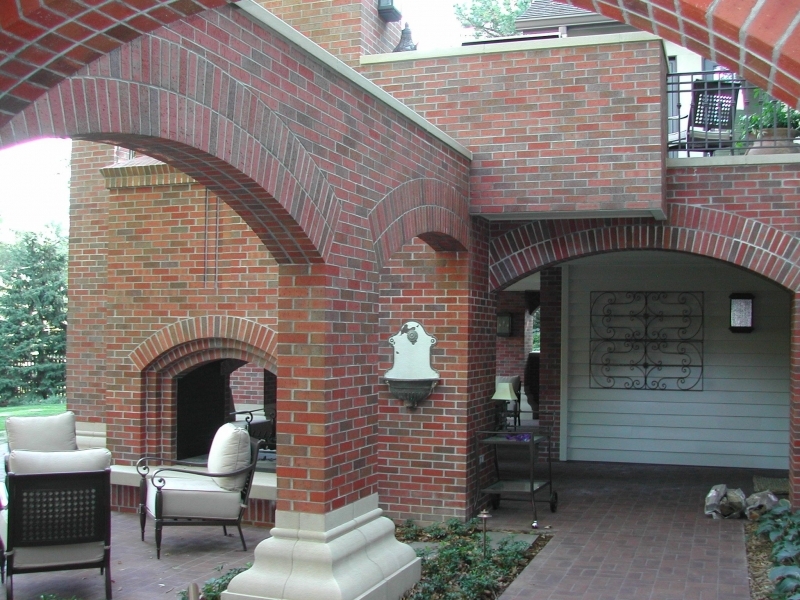 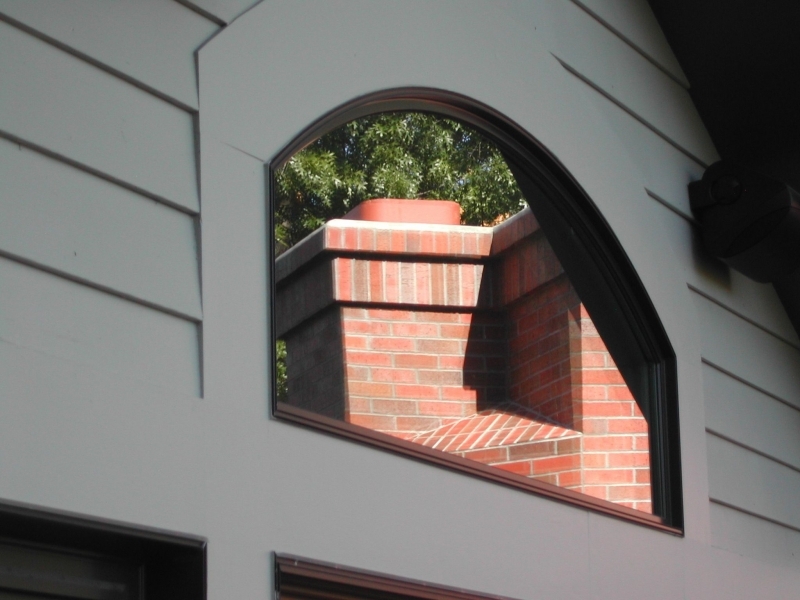 The theme of brick arches, borrowed from the front of the house, playfully dance across the back of the house, connecting the main brick deck to a new master bedroom brick deck. 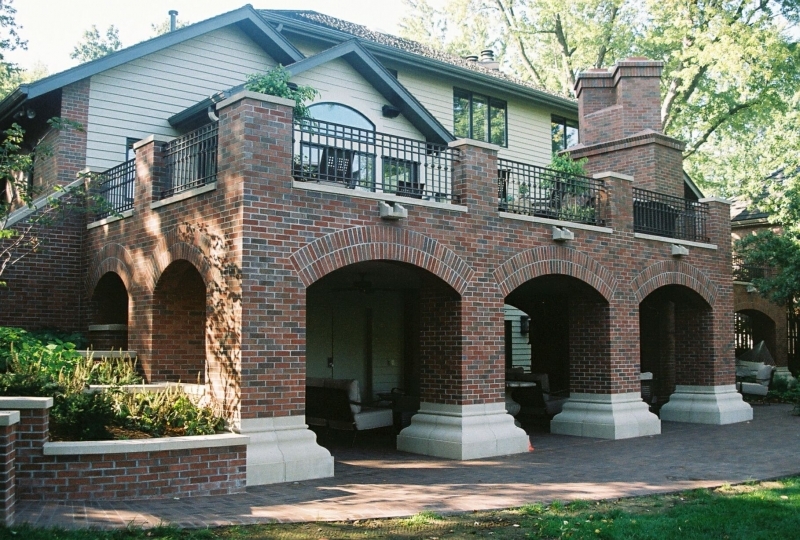 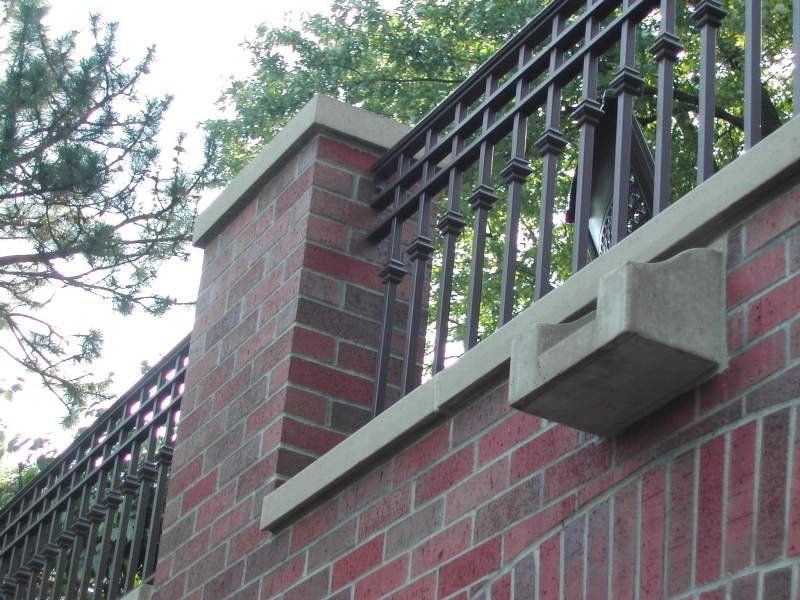 Precast concrete caps, custom designed scuppers and column bases provide texture, detail and delight. 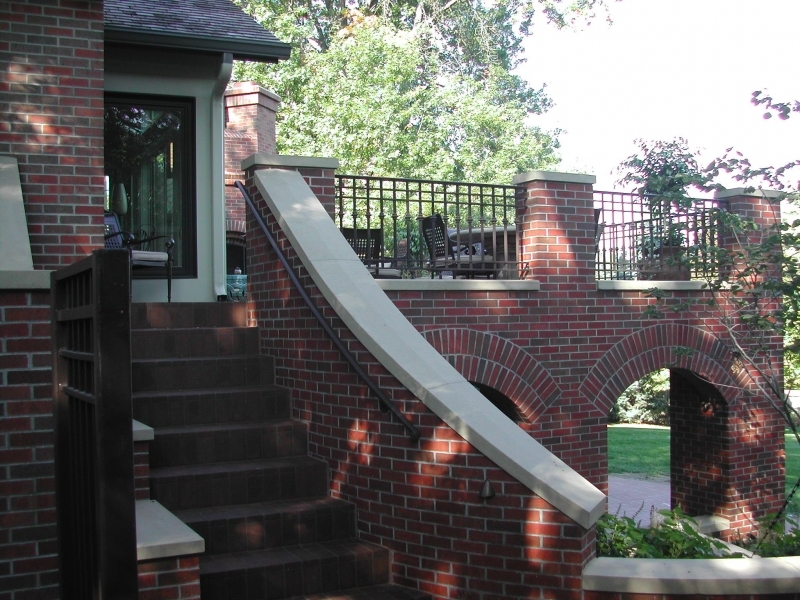 The upper deck railing borrows features from the existing iron fence. 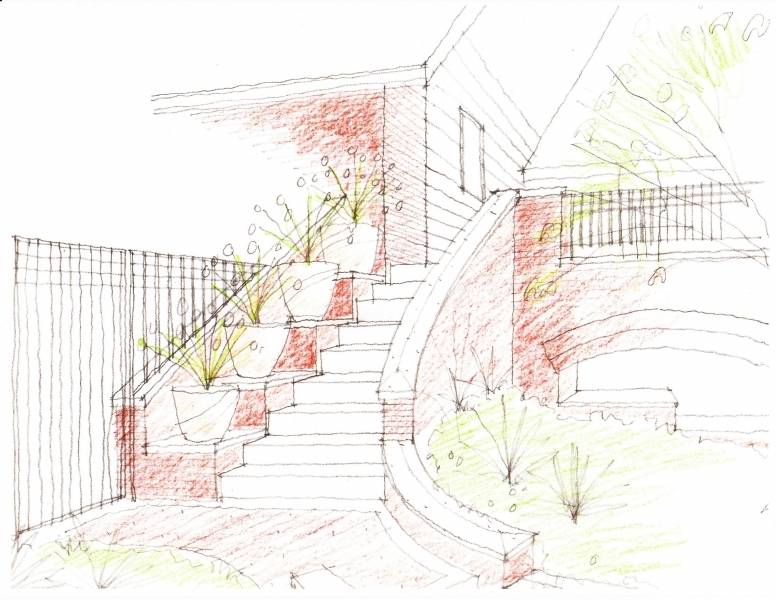 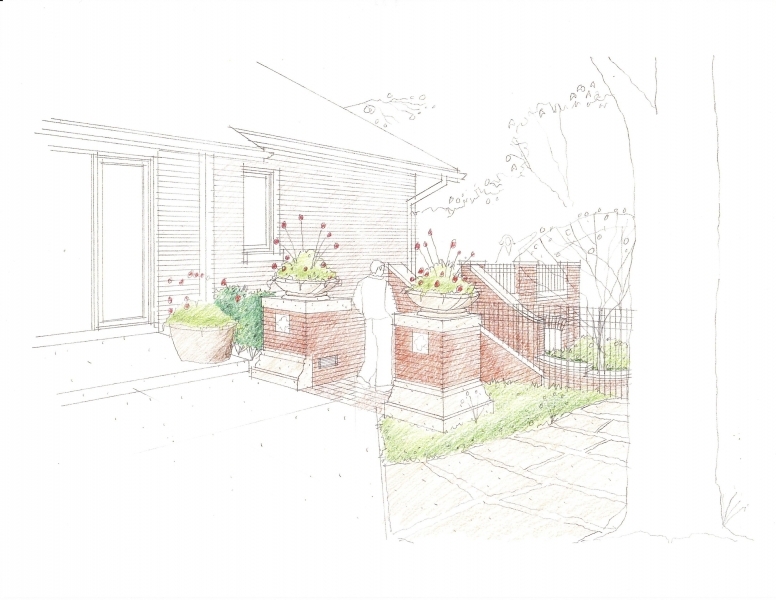 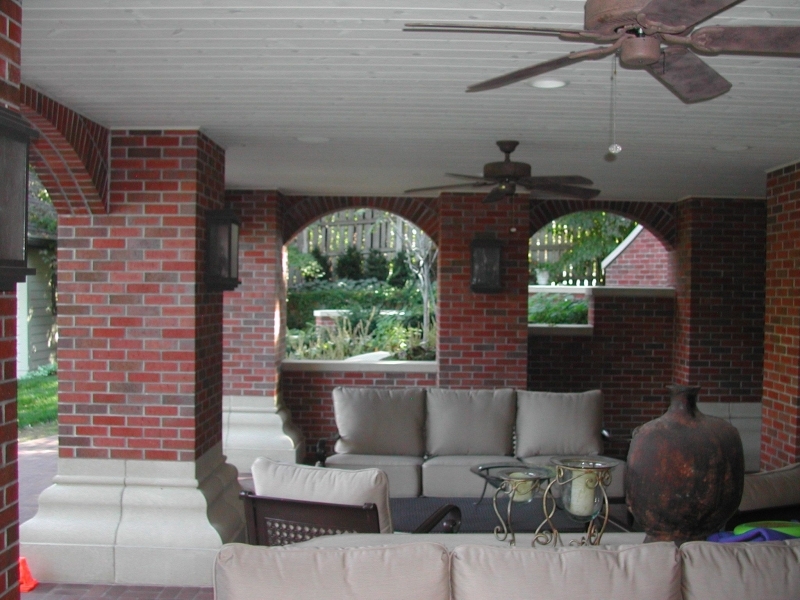 Freestanding brick piers capped with pre-cast planters act as a portal to lower level backyard realm. 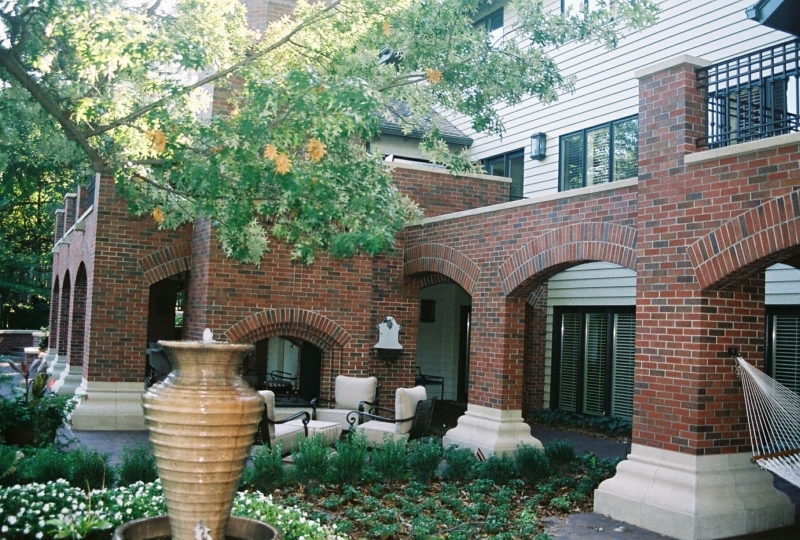 Lush beds of diversified landscaping, potted plants, winding brick paved paths and sitting walls, fountains and furnishings are integrated throughout. 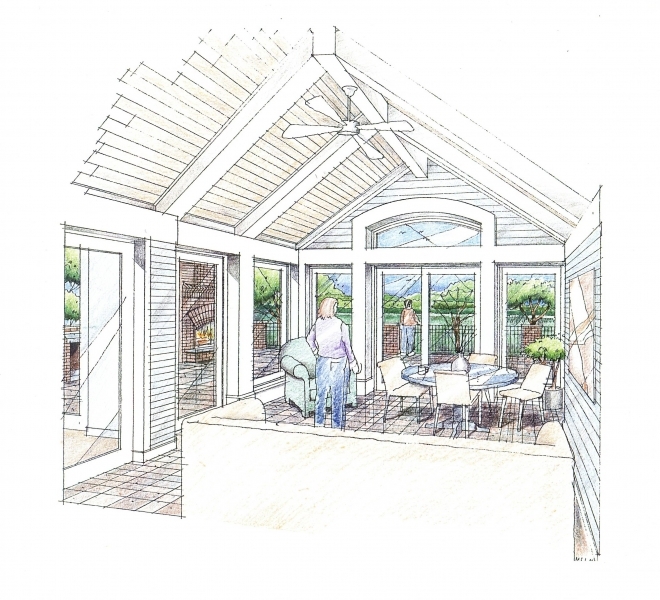 A new sunroom replaces an older sunroom. 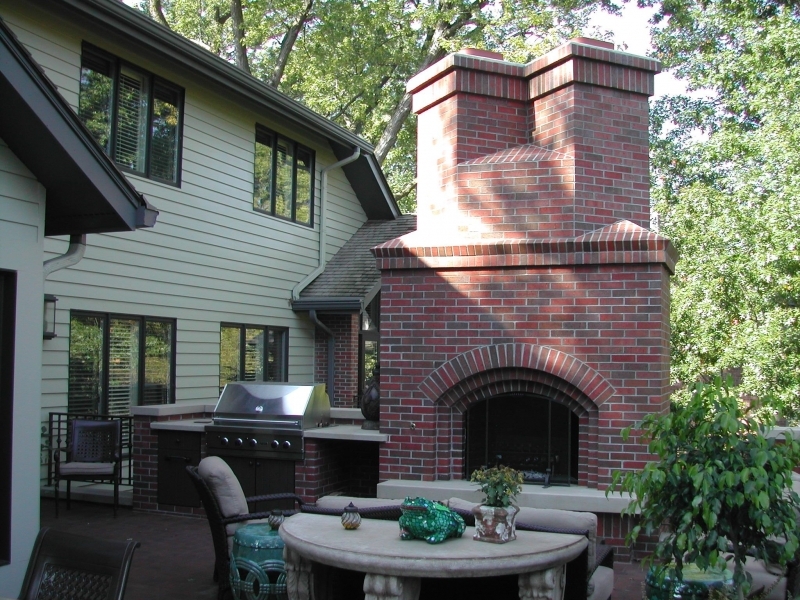 A new outdoor living area is located under the main deck.